Being influenced by the Asian session, AUDUSD is moving with bullish bias testing the 0.76 resistance area. 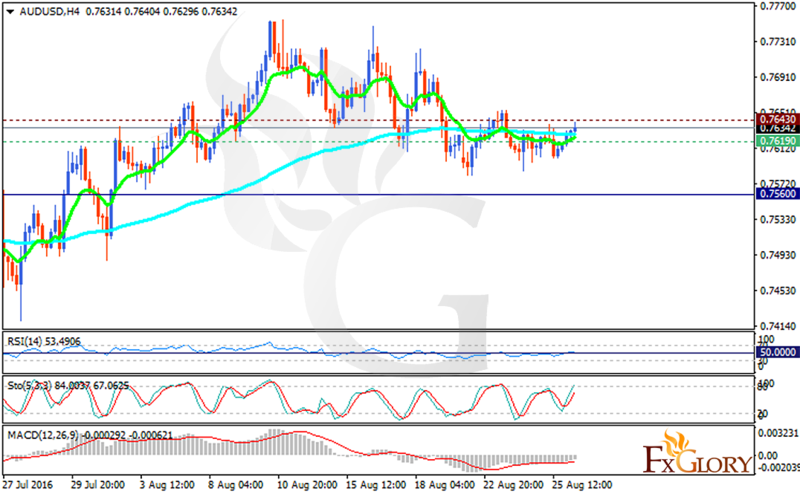 Now the support rests at 0.76190 with resistance at 0.76430 which both lines are above the weekly pivot point at 0.75600. The EMA of 10 has reached the EMA of 100. The RSI is above the 50 level, the Stochastic is showing upward momentum and the MACD indicator is in negative territory. Pullbacks are massively possible at this stage targeting 0.7550 area.